The 24-karat 2010 American Buffalo Gold bullion coins are no longer available, the United States Mint told its authorized buyers in a memo late last week. The US Mint’s inventory of the .9999 fine gold coin is depleted, and there are no plans to strike more this year. 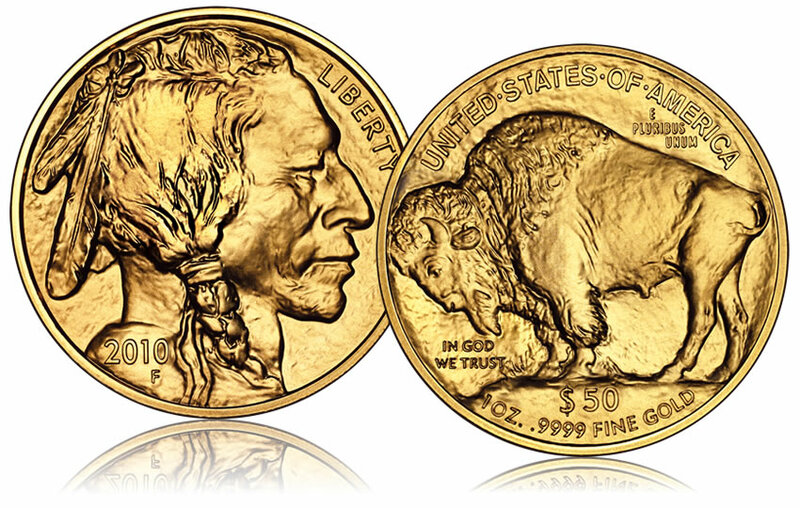 The numismatic proof 2010-W American Gold Buffalo coins are still on sale, although as collector pieces they carry higher premiums. The bullion coin was released April 29, 2010. First day sales shined at 48,500, representing 15% of all the coins sold in their inaugural 2006 year. While final 2010 sales will not match those from 2006, they did surpass 2007 and 2008 when the Buffalos were available for all or most of the year. They also topped 2009, but then the coins were only available from October to December. As the following tables illustrates, 2010 will rank as the second best year for the coins since their debut. 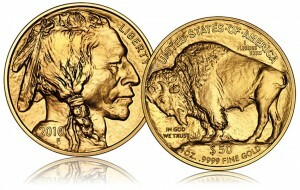 The Mint has not indicated when it will stop selling the collector proof versions of the Buffalo Gold, which were issued on June 3, 2010. Remaining gold bullion coins still available from the Mint are the one-ounce and fractional sizes of the 2010 American Eagle Gold. Bullion silver coins for sale this year include the 2010 American Eagle Silver and the upcoming 2010 America the Beautiful Silver Coins. Both the obverse and reverse of the Buffalo coin is the same basic design that first appeared on the 1913 circulating nickel, commonly known by most as either the "Indian Head Nickel" or the "Buffalo Nickel." The obverse design features a Native American, said to be a composite of three Indian chiefs. Many have claimed to be one of those three models, but only two were ever verified by the artist James Earle Fraser; Cheyenne Chief Two Moons and Lakota Sioux Chief Iron Tail. The reverse design contains an image of an American buffalo, also known as a bison. It is believed by many to be modeled after Black Diamond who lived at the New York Zoological Gardens. I just called the mint and ordered 2 proof buffalo, they are not sold out.